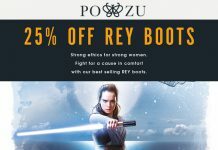 The latest Star Wars | Po-Zu high-top sneakers have been launched today at Rhode Island Comic Con, where visitors to booth #561 have had the first look. 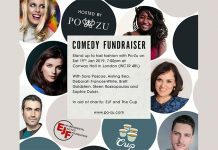 Pre-orders are now live online here. 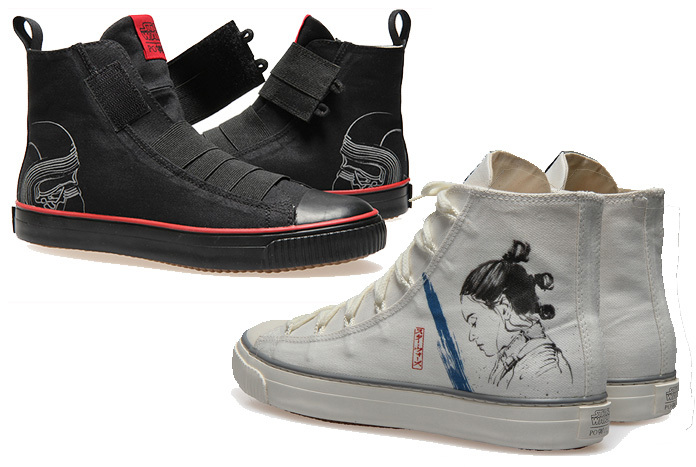 Here’s all the details you need on these two new designs — Rey II and Kylo II…. 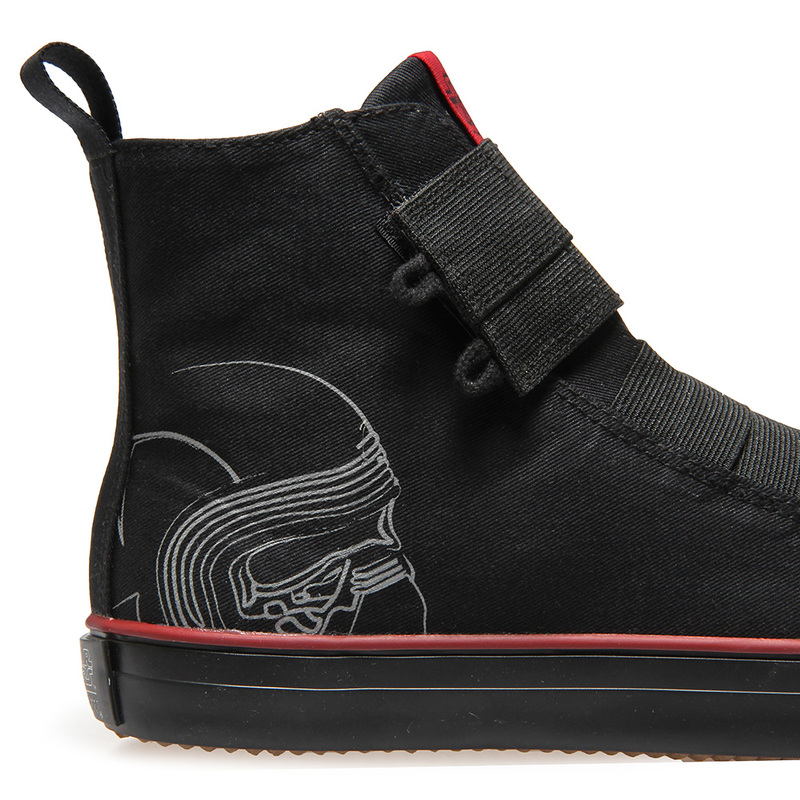 Featuring newly designed images of Rey and Kylo Ren, the high-top sneakers merge striking new design features, such as racer lacing and elastic detailing. Made with organic cotton canvas, fair trade rubber and coconut fibre, these are crafted to help you walk the line between the darkness and the light in style. 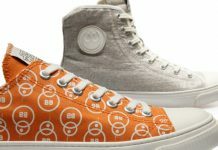 They will be exclusively revealed to RICC attendees and available in plenty of time to be wearing them at Star Wars Celebration Chicago in April. This reveal marks the first chapter of Po-Zu’s attendance at Rhode Island Comic Con. One of the largest conventions of the East coast of the United States, the weekend will see over 80,000 visitors pass through the gates, bringing celebrity guests, comic book authors, costume contests, gaming, professional wrestlers, vendors, video game tournaments and voice artists to the Rhode Island Convention Center. The Skywalker saga is set to end with Star Wars Episode IX in December 2019, with fans eagerly awaiting the conclusion to the story. 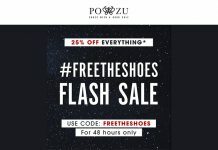 North London-based footwear brand, Po-Zu create shoes with respect to people and planet. 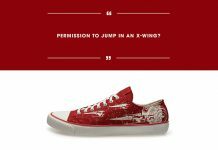 The sneaker joins Po-Zu’s current Star Wars | Po-Zu The Last Jedi and The Force Awakens footwear lines (click here). 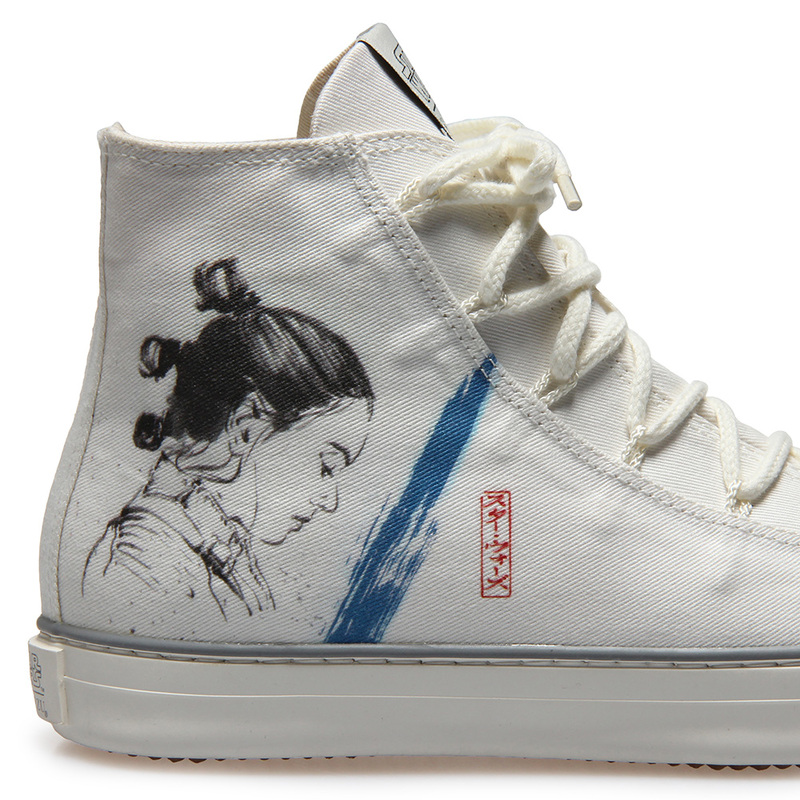 These include styles authentically crafted to closely resemble what the main characters, Rey, Poe, and Finn wear in the films alongside a casual high-top sneaker range. Loved by cosplayers and Star Wars fans alike, the range continues to grow in the USA comic con scene. Get your pre-orders in NOW — happy hunting!